Our longevity in catering speaks for itself. The Buggy Whip has been in the business for more than 50 years! Delivering top quality delicious restaurant style food, and satisfying family cuisine to our wonderful customers at reasonable prices is what we do! We treat you like family and value your business. 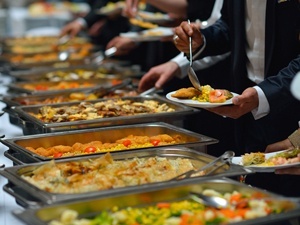 Let our catering experts help you plan the perfect event menu. We will take care of all the details so you can enjoy your guests! 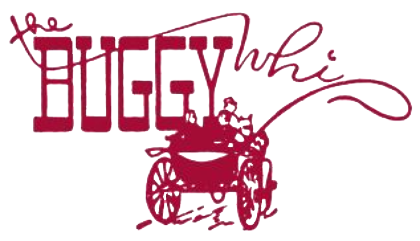 Started as a family restaurant in 1953 in South Grafton, MA, The Buggy Whip was founded by Gus Garabedian. As the textile industry in the area declined, the focus of the business transformed to catering. Gus’s son, Joseph Garabedian now owns and operates The Buggy Whip. He works hard to keep intact the incredible and superb reputation of his father’s legacy. Our customers all over Worcester County have come to expect only the best from our company and you will too! Our family buffets don’t disappoint! From delicious pastas, ribs, or chicken, to even a breakfast brunch, we have a customized menu for any event! 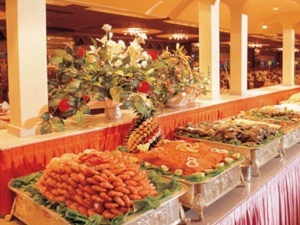 We also feature traditional buffets for weddings and can even arrange cake service for you. Our dinners are designed to be full service with restaurant flair including full china and a professional wait staff. 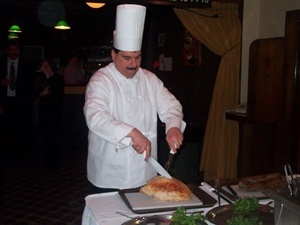 With delicious carving stations and an assortment of menus to choose from, we serve you in style.